Seville: David de Gea deflected the attention away from Paul Pogba with another spectacular display of goalkeeping as Manchester United came away from their Champions League last 16, first leg against Sevilla in Spain with a 0-0 draw on Wednesday. De Gea made two breathtaking saves to deny Steven N'Zonzi and Luis Muriel at the end of the first half at the Ramon Sanchez Pizjuan, denying Sevilla a lead to take to England for next month's return. 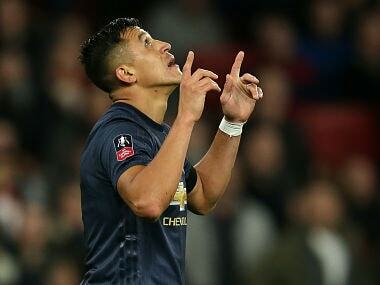 Sevilla were the more likely side, with United offering little going forward despite the presence of Alexis Sanchez, Romelu Lukaku and Juan Mata in their attack. Lukaku had a late goal disallowed, but United's was the kind of cautious approach seen time and again in such games by Mourinho's teams down the years. 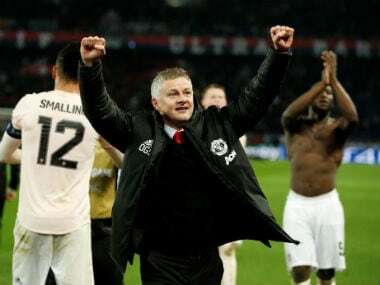 Their inability, unwillingness even, to get an away goal leaves the tie wide open ahead of the second leg, with United looking to reach the quarter-finals in their first appearance in the knockout stage of the Champions League since 2014. 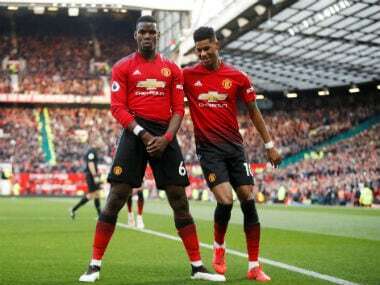 Mourinho decided to leave Pogba out of his starting line-up, despite the Frenchman being back in the squad after illness had kept him out of United's FA Cup win at Huddersfield Town. Fuelling the speculation of an uneasy relationship between Mourinho and the France midfielder, the United manager chose to select 21-year-old Scott McTominay ahead of Pogba in a midfield three. However, an untimely injury to Ander Herrera meant Pogba was thrown on after just 17 minutes of a first half dominated by the Spanish side. Sevilla, looking to make it past the last 16 of the Champions League after falling in their three previous appearances at this stage over the last decade, could and should have had a goal to show for their performance. De Gea made one good early save low down to deny Colombian Muriel, while Jesus Navas, impressive at right-back, fired just wide after latching onto Ever Banega's cross-field pass. Stepping up the pressure just before half-time, Joaquin Correa's shot from a good position was too easy for De Gea, but the Spain 'keeper displayed all his class as he kept out headed attempts from N'Zonzi and Muriel from point-blank range, both saves requiring breathtaking reactions. The importance to United of not letting in a goal was clear -- they had kept eight clean sheets in their 10 matches before heading to Andalusia, with their only defeats in that time coming in the two games in which they had conceded. 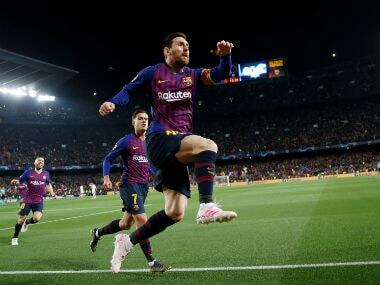 And they seemed content enough to leave Spain with a 0-0 draw, continuing to soak up pressure in the second half and relying on Sevilla's indecision in the final third. They were also aided by Pablo Sarabia's inability to find the target from an inviting Muriel cross in the 73rd minute, before Lukaku's goal was ruled out by French referee Clement Turpin for a handball as he controlled before shooting. Whether Mourinho's team should have been more adventurous will only become clear after the return in Manchester in three weeks. Shakhtar Donetsk fought back from a goal down as Fred's free-kick gave the Ukrainians a 2-1 victory over Roma on Wednesday in their Champions League last 16, first leg. Turkish youngster Cengiz Under marked his Champions League debut for Roma with a well-taken 41st-minute opener after latching onto Edin Dzeko's clever through ball. Shakhtar were much-improved after the break, though, and Facundo Ferreyra ran clear to slot under onrushing goalkeeper Alisson Becker. The hosts completed the turnaround in style with 19 minutes to play, as Fred curled a free-kick in off the crossbar. But an extraordinary goalline block from Roma substitute Bruno Peres to deny Ferreyra in the final minute of injury-time kept the tie finely balanced ahead of the second leg at the Stadio Olimpico on 13 March.